Our Norwalk copier repair offices by Southern California Copiers / American SERVCO Imaging Systems and SoCal Copiers specialize in the service, repair and maintenance of Sharp Copiers, Toshiba Copiers, Printers, Laser Printers, MFP’s and Facsimile (fax) equipment., as well as other popular brands and copier manufacturers. We provide on-site service and repairs in the Norwalk for Canon, Panasonic, Ricoh, Hewlett Packard, Oki Data, Toshiba, Sharp, Copystar, Kyocera, Mita, Minolta, Lanier, Gestetner, Konica and Konica Minolta copiers, printers and fax machines. Includes complete cleaning, mechanical testing, adjustment and fine alignment designed to eliminate unnecessary service calls. This service is provided at least once per year whether you place a service call or not. We can also provide additional scheduling to meet the needs of your company! 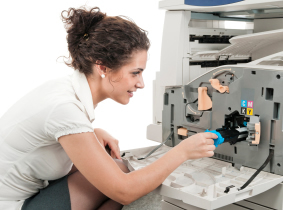 Our Norwalk copier repair service also provides annual service agreements, maintenance programs and cost per copy maintenance for copiers, printers and facsimile equipment designed to help control the cost of repairs, maintenance and support related issues. All copier service and maintenance labor for the entire year is covered. We come to your Norwalk, California, Orange County location. This eliminates the need to pay hourly rates that can be very expensive for software related problems or overhauls. With American SERVCO Imaging Systems Norwalk service agreement, there is never a travel charge added to the cost of a repair. Our copier, printer and fax service, maintenance and repair territory includes all of Southern California, Inland Empire, Los Angeles County, Riverside County, San Bernardino County and Orange County. 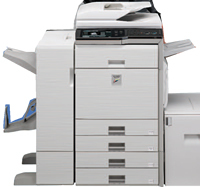 If you are located in Norwalk, California,, and need copier service or repair, please call us at (800) 870-9049.